David G. Schwartz, editor. 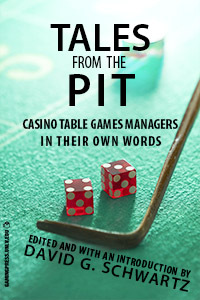 Tales from the Pit: Casino Table Games Managers in Their Own Words. Las Vegas: UNLV Gaming Press, 2016. Dealing in a casino presents challenges and rewards not seen in many workplaces. With hundreds of thousands of dollars at stake every minute, table games pits are high-stress workplaces. Managing a workforce of dealers and attending to the needs of players brings stresses of its own. 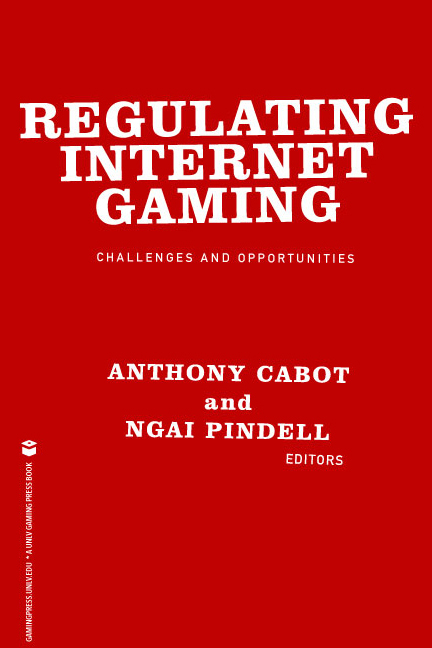 In 2015, the University of Nevada, Las Vegas’s Center for Gaming Research received a grant from the UNLV University Libraries Advisory Board that enabled it to undertake an oral history project intended to capture the stories of table games managers, including both those currently working in the field and those who have retired. Drawn from these interviews, Tales from the Pit provides an overview of how the interviewees felt about a variety of topics, ranging from their experiences breaking in as new dealers to their transitions to management and the changes the industry has seen over their careers. The current and former managers speak candidly about the owners, bosses, dealers, and players who made each day challenging. This book illuminates the past several decades of casino history through the words of those who lived and made it. They told me that if you were a dice dealer, you could have a job for the rest of your life, which still pretty much holds true today. We’re always looking for good dice dealers. You know what, it’s funny because you see the old stuff come back from the past. We had some guy bending face cards the other day. We let him bend up the whole deck, then changed the cards on him. He got up and left. And, you see the same stuff. And I wore glasses, I looked like a little school teacher...and it took me a good year and a half before I totally felt comfortable, and if someone called me a name or became argumentative or took a shot or anything like that, I would keep my mouth shut and deal my game. I was only there [at a private New York city card club] for about six months, and looking back, it was fairly run-of-the-mill. Nobody blazed in with weapons or guns blazing, nothing like that. There wasn’t knock three times, give us the password—nothing like that. I mean, there was the old camera, you had to show yourself to get in, but that was it. It was about as nondescript as it got. I came back to Vegas, and four days later, I was working back at the Fremont Hotel. And I worked for Fremont from 1977 to 1979....Frank Rosenthal and Anthony Spilotro were all part of that scene...back in those days, that’s the way it was. I had another pit boss that used to kick your ankles. I had another pit boss that, whenever you were a floorman, whenever you hit a certain criteria for losing that he had, he just moved you out and changed you or, they would change cards or change dice frequently. They’d start harassing players, sometimes. If they felt they couldn’t interfere with their gambling streak, they would just start harassing them, sometimes to the point of having coffee dumped on them. Well, obviously everything’s different, just like it’ll be different forty, forty-five years from now. You know, the casinos were all privately held with the exception of the Hughes properties.... And the people that broke me in at the Las Vegas Club, were all guys that had worked in the illegal joints around the country. 9 What Makes Good Management? 10 What Makes Bad Management? The book also features a list of contributors and an index. To order, use the links below.